The BMW 8 Series Coupe is almost old news now, despite how achingly pretty it is, thanks to the 2019 BMW Z4 M40i making its official debut at Pebble Beach. That’s not to say that BMW has forgotten about the 8 Series entirely. 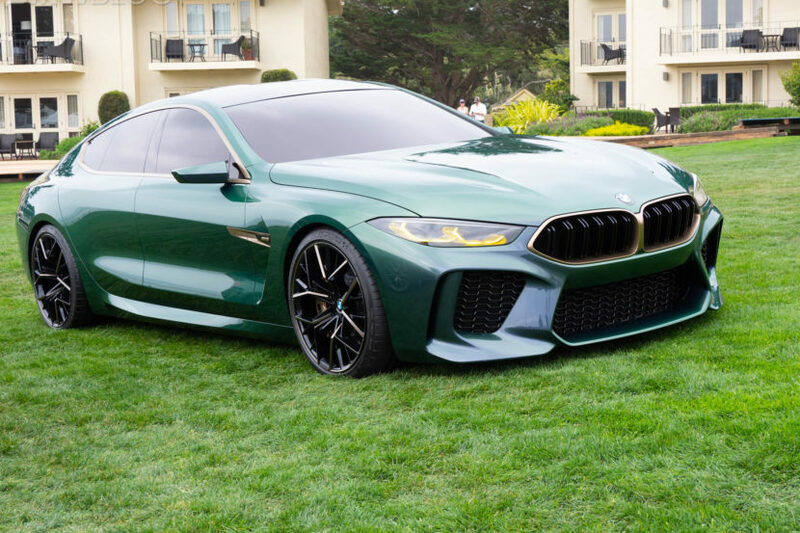 Next to the brand-new Z4 at Pebble Beach was the BMW M8 Gran Coupe Concept, which just made its North American debut. We’ve seen the BMW M8 Gran Coupe Concept before but this is the first time it’s on American soil. Thankfully, its style and presence are both as stunning as they were when we first saw the Concept. What’s impressive is that the M8 Gran Coupe Concept is even better looking than the already gorgeous 8 Series Coupe sitting right next to it. That four-door coupe body and muscular rear haunches look stellar and this could be even better looking than the BMW M6 Gran Coupe, a car that most BMW enthusiasts adore. 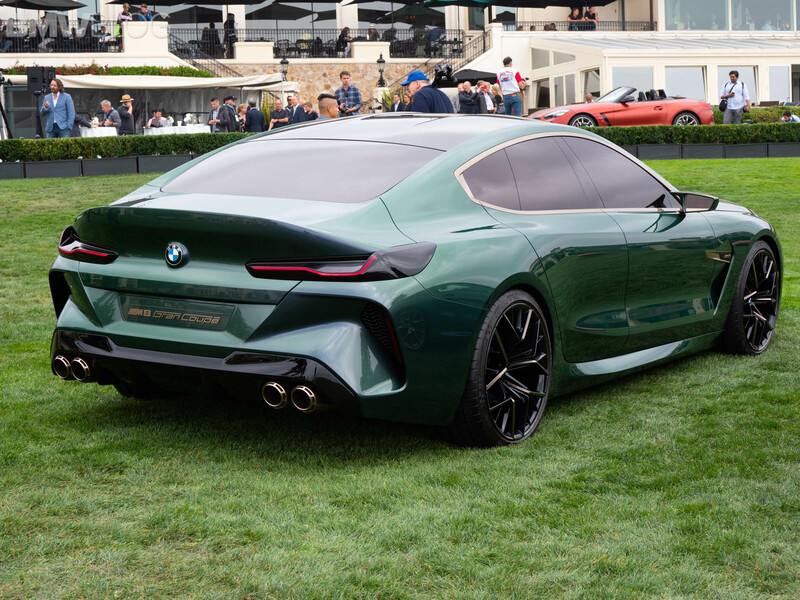 It also looks as if it could go into production tomorrow, with most of its styling being borrowed from the 8 Series Coupe, which already a production car. The headlights, Kidney Grilles and front fascia are all plucked right from the Coupe, as are its taillights. So all it needs are more realistic side mirrors, real door handles and a license plate and it’s good to go. Hell, I even like the green-on-gold color scheme and think it looks oddly cool. Who woulda thunk it? As far as powertrains and specs are concerned, we know nothing official as of yet. But it’s expected to be the exact same powertrain as the BMW M8 Coupe. Although, we don’t even officially know what will power that. We do know that it will be a twin-turbo V8, likely a tuned version of the M5’s engine, and we do know it will have over 600 hp. There’s no official word on when we’ll see the BMW M8 Gran Coupe production car but it won’t be until next year.